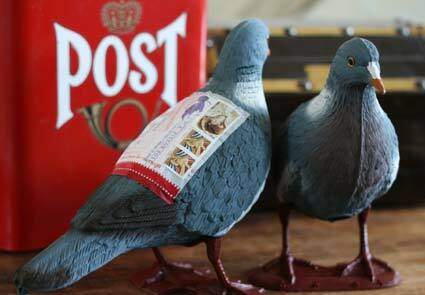 16 Sparrows is offering a “Pigeon Post” kit that is lightweight enough to be US mail-legal: just write your note, attach it in an included pouch to the plastic bird, and drop it in a mailbox. Enough postage for one mailing is included in the kit, along with some additional pouches if the pigeon’s recipient needs to send a response. We feel like there’s some high-impact novelty in this carrier-pigeon reboot; not only is it a creative way to surprise a friend but would also be a novel way to deliver a marketing message to a high-value prospect (certainly more fun than the room keys and ping-pong balls we’ve received lately). Pigeon post kit, $30, 16 Sparrows.